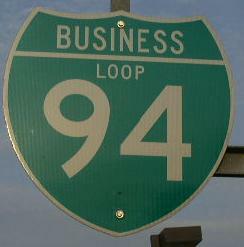 Business Loop Interstate 94 in Calhoun County runs through Battle Creek. BUSN Loop I-94 passes through the following town in Calhoun County. BUSN Loop I-94 is multi-plexed in Calhoun County. Michigan State Route 96, near Battle Creek. Michigan State Route 66, at Battle Creek. 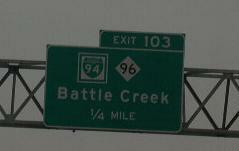 Michigan State Route 96, at Battle Creek. BUSN Loop I-94 intersects the following highways in Calhoun County. Interstate 94, near Battle Creek. 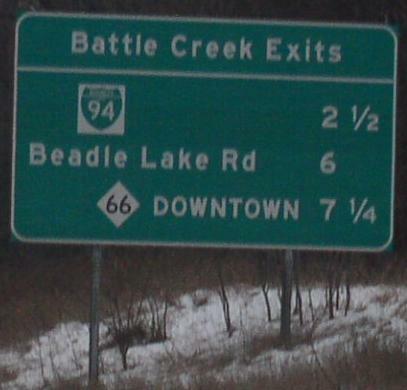 Michigan State Route 89, at Battle Creek. 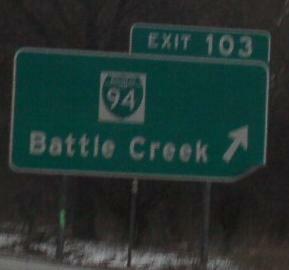 Michigan State Route 37, at Battle Creek. 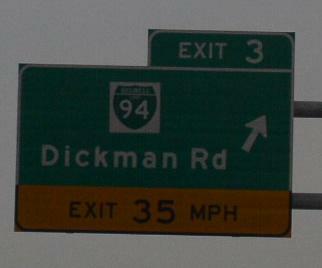 A exit chart on WB I-94. A overhead BGS on WB I-94. A set of overhead BGS's on NB I-194/MI St Rt 66. A BGS on NB I-194/MI St Rt 66. 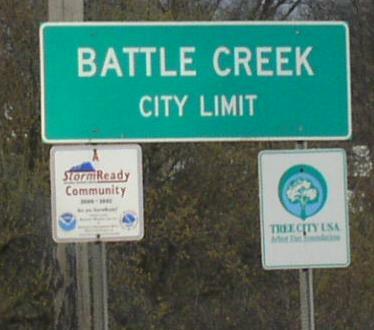 A guide marker in Battle Creek. 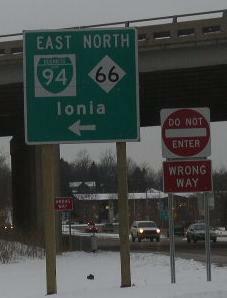 Another guide marker in Battle Creek.